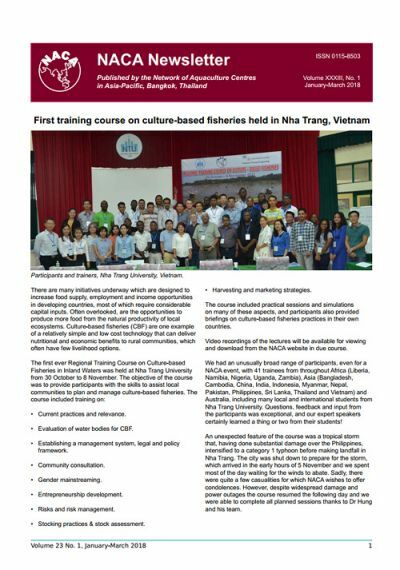 First training course on culture-based fisheries held in Nha Trang, Vietnam. GAF7: Gender in Aquaculture and Fisheries - Expanding the Horizons. 3rd International Symposium on Aquaculture and Fisheries Education, 16-18 May, India. 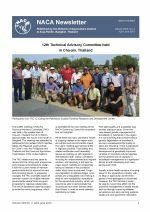 International Fishing Industry Safety and Health Conference, 10-13 June, Canada. WHO: Stop using antibiotics in healthy animals to prevent the spread of antibiotic resistance. Register for the 8th International Symposium on Aquatic Animal Health. Quarterly Aquatic Animal Disease Report, July-September 2017. Free download: Biology and Management of Invasive Apple Snails. Antimicrobial use in the aquaculture sector.